Johannes Brahms, (1833— 1897) German composer and pianist of the Romantic period, who wrote symphonies, concerti, chamber music, piano works, choral compositions, and more than 200 songs. Brahms was the great master of symphonic and sonata style in the second half of the 19th century. He can be viewed as the protagonist of the Classical tradition of Joseph Haydn, Mozart, and Beethoven in a period when the standards of this tradition were being questioned or overturned by the Romantics. 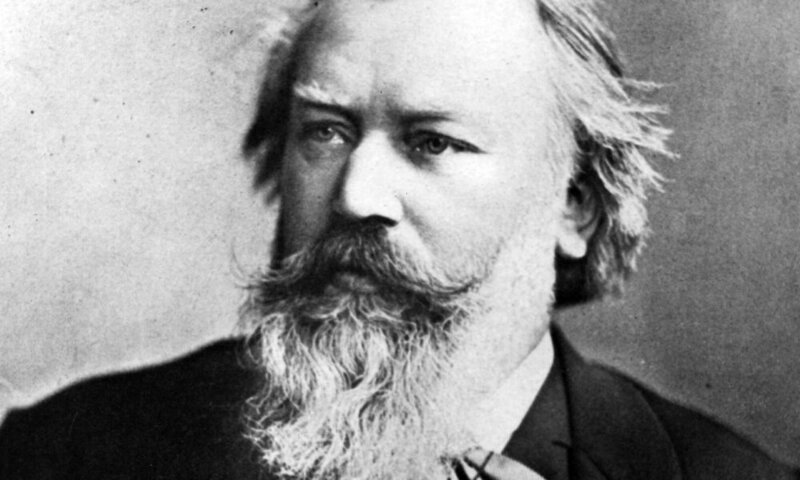 In every genre in which he composed, Brahms produced works that have become staples of the repertory. His most ambitious work, the German Requiem (1863-1867), is the composer’s singular reinterpretation of an age-old form. The four symphonies—lushly scored, grand in scope, and deeply expressive—are cornerstones of the symphonic literature. Brahms’ concertos are, similarly, in a monumental, quasi-symphonic vein: the two piano concertos (1856-1859 and 1881) and the Violin Concerto (1878) call for soloists with both considerable technical skill and stamina. His chamber music is among the most sophisticated and exquisitely crafted of the Romantic era; for but a single example, his works that incorporate the clarinet (e.g., the Trio in A minor, Op. 114 and the two Sonatas, Op. 120), an instrument largely overlooked by his contemporaries, remain unsurpassed. Though the piano sonata never held for Brahms the same appeal it had for Beethoven (Brahms wrote three to Beethoven’s 32), he produced a voluminous body of music for the piano. He showed a particular affinity for variations—notably, on themes of Schumann (1854), Handel (1861), and Paganini (1862-1863)—and likewise produced a passel of national dances and character pieces such as ballades, intermezzi, and rhapsodies. Collectively, these constitute one of the essential bodies of work in the realm of nineteenth century keyboard music.